In a Nutshell: If you love to earn and spend your credit cards’ reward points on new and exciting dining experiences, then San Francisco is a must-visit destination for you. The greater Bay Area is home to 55 Michelin-starred restaurants, with more than half of them located in San Francisco proper. 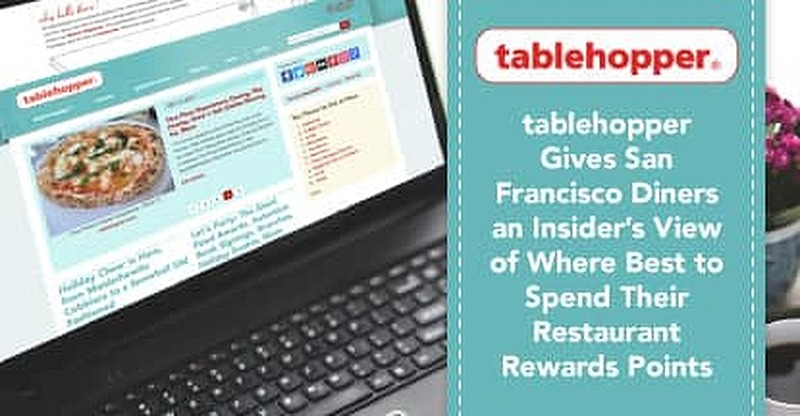 To help diners navigate the culinary landscape of this West Coast mecca for foodies, Marcia Gagliardi has created tablehopper, a restaurant review website, guide, and e-newsletter offering in-depth views of the SF dining scene. Take care not to mistake tablehopper for just another food blog; this insider’s guide to the best of Bay Area dining is far more. Tablehopper is the result of the more than 15 years Marcia has spent as a restaurant reviewer, food writer, culinary advisor, and all-around dining expert in the City by the Bay. Credit card rewards come in many different flavors — and if your mouth started watering when you read that, you likely carry a card with restaurant reward points as a primary feature. 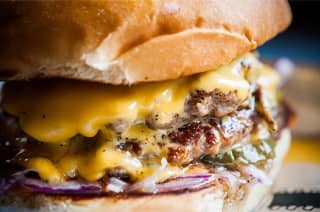 Many rewards cards come with 2X or more rewards points when you use the card for dining out, which is like being rewarded for your love of excellent food. For true culinary conquistadors, a superb dining experience is reason enough to travel to a city; and in recent years, San Francisco has captured their collective appetite. The dining scene in San Francisco is among the most progressive and eclectic in the world, and the Bay Area is one of the best places to experience the delights of advanced culinary achievement. As one of the oldest and most culturally diverse cities on the West Coast, San Francisco offers something to satisfy every taste. Some of the best restaurants in the US are located in the City by the Bay. In fact, at last count, San Francisco has more Michelin 3-Star (the highest rating) restaurants than New York City, which has almost 10 times the population. To help visitors navigate a gastronomic utopia that features standouts like Benu, The French Laundry, and Quince, longtime food writer and restaurant reviewer Marcia Gagliardi has come to the rescue with her tablehopper website and e-column detailing the latest in SF dining. Not just another food blog, tablehopper is a combination of an insider’s guide, in-depth restaurant reviews, and behind-the-scenes looks at San Francisco’s best eateries. The site also features a collection of Marcia’s many reviews and recommendations from her weekly e-column (it’s free to subscribe). Marcia took some time out of her busy schedule recently to chat with us about her website, her passion for dining, and the exciting San Francisco dining scene. As a San Francisco resident for nearly a quarter decade, Marcia has been exploring the vast culinary offerings of her city since 1994. She has written about the dining scene for many well-known guides and publications in the years since, and her passion came through in our conversation. Having written for publications such as Travel + Leisure, Condé Nast, American Way, and even Fodor’s San Francisco guidebooks among others, Marcia brings a wealth of experience to her e-column and website. So how did all of this get started? Marcia Gagliardi helps San Francisco residents navigate the food scene through her tablehopper website. “I made my way into food writing because I realized I was spending a lot of money on dining out, and figured I could get paid for doing it,” she said. “I soon realized writing for magazines was going to be a challenge because they don’t pay a lot, and it’s not a very dependable source of income. Throughout her stewardship of tablehopper, Marcia has covered fine-dining establishments, as well as lesser known, but equally loved locations. She explained to us that she approaches each review of a new place wanting the restaurant to be successful. However, she has a rule: If she can’t recommend this place to a friend, then she doesn’t write it up. “I try to write my column like I’m writing to a friend,” she said. “If I’m going to review a restaurant or recommend a place, I have to have a good feeling about it. Then, I think, ‘What would I tell a friend in recommending this place?’ Things I would recommend them trying, or the things not to miss. 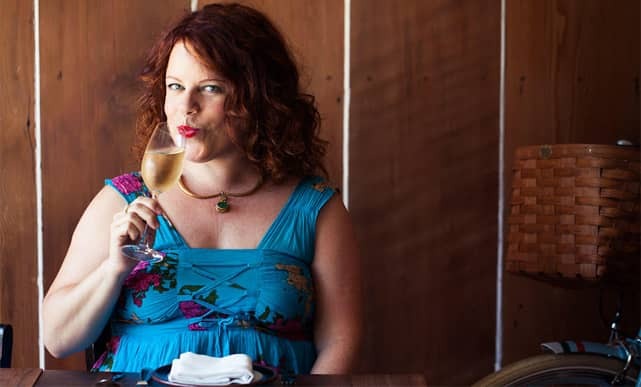 In addition to her tablehopper website and e-column, Marcia has also written a book, entitled The Tablehopper’s Guide to Dining and Drinking in San Francisco: Find the Right Spot for Every Occasion. The book was first published in 2010 but still has plenty of relevant information for residents and visitors alike. In the 2017 Michelin Guide listing the finest restaurants in the world, the greater Bay Area boasts a total of 55 establishments. Of those, more than 30 are in San Francisco proper, including seven that received three stars — Michelin’s highest rating. Restaurateurs’ relationships with growers are partly to thank for the high-quality food in the Bay Area. In talking about what makes San Francisco such a special place for food and fine dining, Marcia pointed to the special relationships that many of the chefs have with the local farmers and growers of their ingredients. The freshness and quality of the produce and artisanal products they use are directly influenced by the needs of the chef. And, of course, there’s the focus on seasonal dishes, with California having a longer growing season than many other places. In addition to her website and e-column recommendations, Marcia also has a customized service, which she calls Tip Please. When she began tablehopper, people would write her for recommendations on where to dine. Marcia would ask a few questions, like the occasion being celebrated and what type of budget the writers had in mind, and she would give them her tip. This offering evolved into Tip Please. Although it’s now a paid service, it’s a nominal fee and well worth the cost for her valuable expertise. Using a credit card that rewards you for dining out is one of the best perks to being a dedicated foodie. What’s better than getting a bonus for enjoying a spectacular meal? Some of the best cards out there include 2X bonus points when they’re used at restaurants. You can even find cards that give you up to 25% more value when they’re used to pay a restaurant bill. Food lovers looking to visit San Francisco are certainly in for a treat. By combining Marcia’s tablehopper recommendations with the best restaurant credit reward cards, you can optimize your dining experience while maximizing your rewards. San Francisco is one of the oldest and most culturally diverse cities on the West Coast. Connoisseurs and foodies of all types owe it to themselves to experience this great food destination. And San Francisco residents and visitors can thank Marcia and tablehopper for making it that much better.